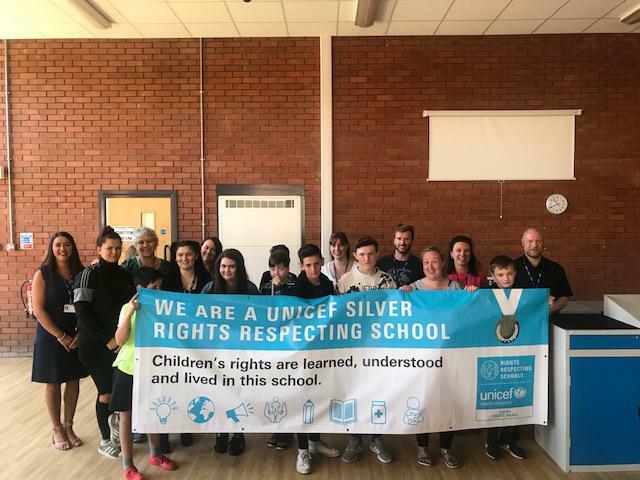 The Bridge Alternative Provision, based on the Bryncethin Campus, has recently achieved the Silver Award of UNCRC Rights Respecting Schools. This very prestigious award recognises the level of commitment from both staff, learners and the wider school community to listening to the views of and upholding the rights of the learners in The Bridge. This is particularly important in a PRU setting where children and young people can be placed at a time of transition or crisis and be in real need of specialist support though they may not recognise this. Pupils spoken to during the focus group were confident in their knowledge of the UNCRC and spoke about the ways that they have been engaged in the provision’s RRSA journey e.g. staff facilitate a meeting on the first Tuesday of each month for pupils to engage with the RRSA steering group. This should be recognised as good practice and ensures the continued and open engagement of young people who transition in and out of The Bridge. Pupil questionnaires show a significant increase from 27% of pupils stating they had learnt about the Convention when the first focus group questionnaires were completed compared to 93% of pupils in the most recent round of questionnaires.